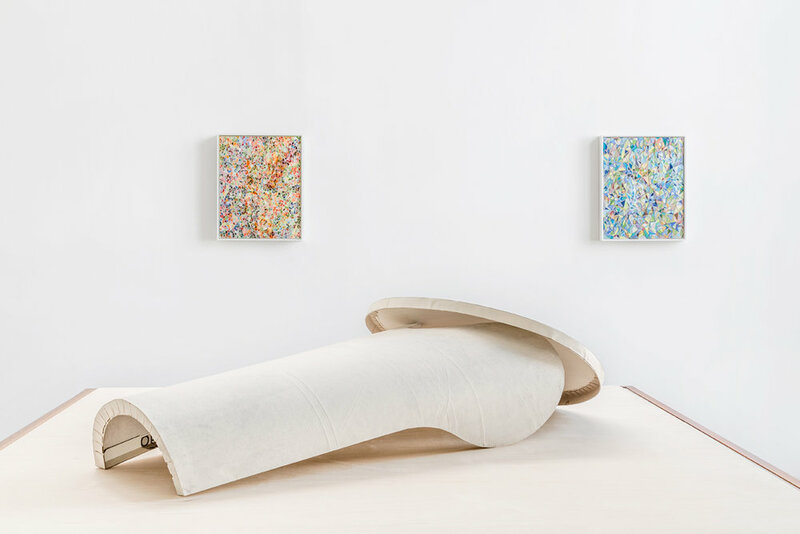 On view at ROSEGALLERY on 25 February until 31 May, Not From Here presents new works by Los Angeles-based artists Manfred Müller and Shaun McCracken. 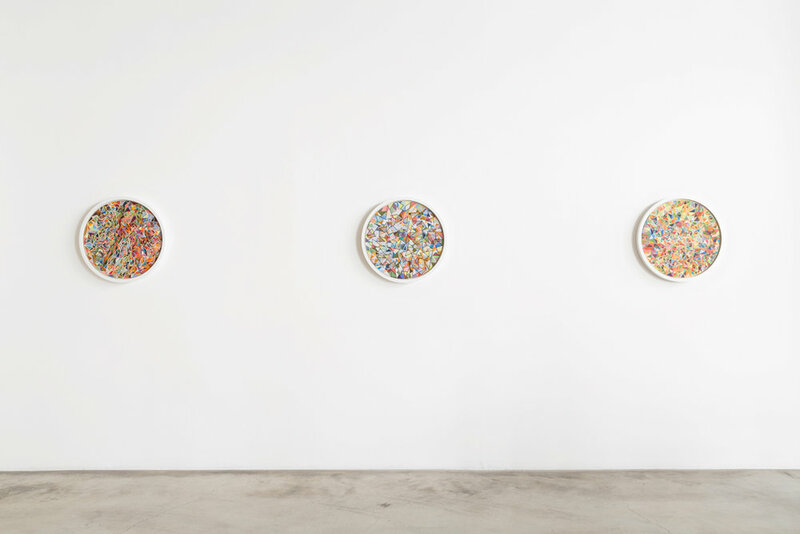 This is Manfred Müller’s fourth and Shaun McCracken’s first exhibition with the gallery. The exhibition opens on February 25th with a reception for the artists from 6 until 8 pm. 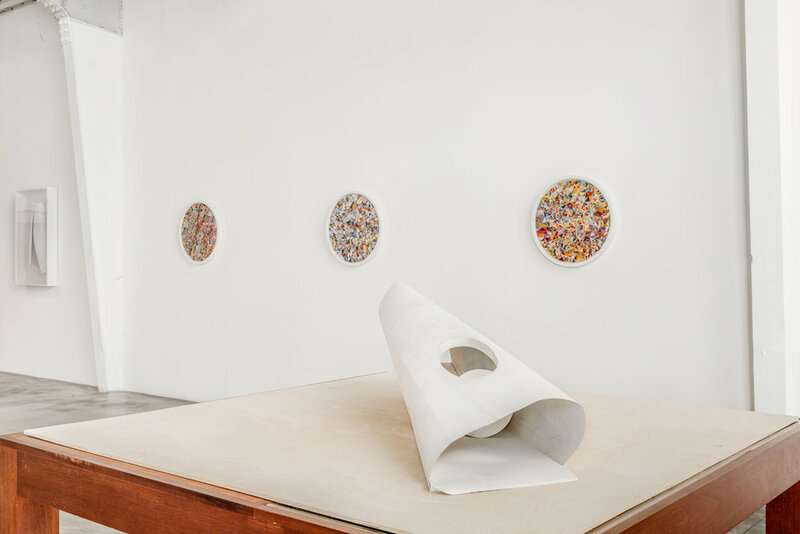 Not From Here features new works by Müller and McCracken, two artists who originate from Europe and currently live and work in Los Angeles. Born in Northern Ireland, McCracken left his home in the early 1980s to study Fine Art at St. Martins College and Goldsmith University in London. His arrival in London marked the start of a transformative period in his artistic development, opening up new horizons and possibilities. From 1976 to 1981 Müller studied at the Kunstakademie Düsseldorf, bringing his background as a technical draftsman to his architectural sculptures. Müller, influenced by his professor Erwin Heerich’s minimalist architectural sculptures and Joseph Beuys’ revolutionary use of materials, merged his environment with his work, creating pieces that engaged their surroundings through construction and installation, with a deep understanding of space and tactility. Manfred and McCracken create abstracted spaces, dimensional and layered. McCracken’s vibrant egg tempera paintings and watercolors, have all been completed over the past two years. Without prior planning or drawing, McCracken creates geometric, hard-edged paintings. Utilizing layered color blocks and lines, the evolution of the painting reveals itself, creating an individualized history within each work. 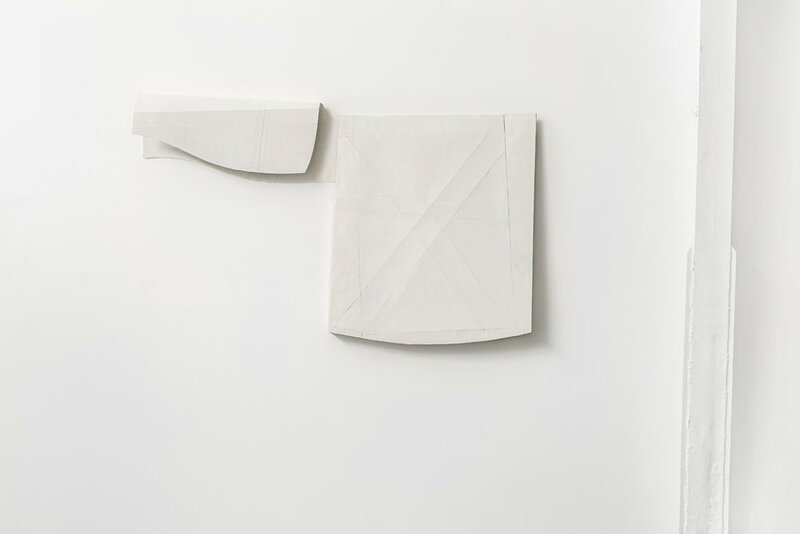 Müller uses folding, contrasts and creases in paper to address the notion of one’s experience with their constructed surroundings. The architectural sculptures engage and reconfigure space with a conscious effort to emulate the aesthetic principles of constructivism. Through the voids and fills, colored spaces and visual history, the two artists reflect the world surrounding them without ever directly referencing it visually. 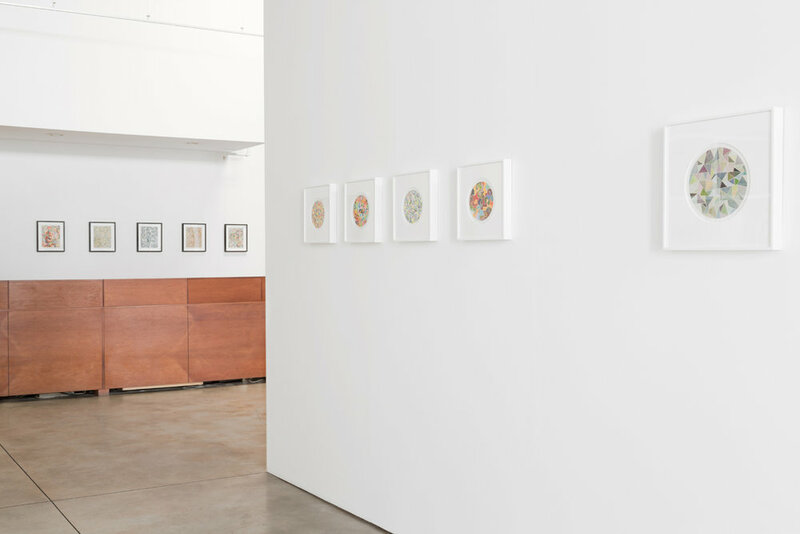 Both artists inhabit dual identities — Müller, German-American, and McCracken, from Northern Ireland and currently living in the United States — yet the two artists do not merely work between these identities and spaces, but rather broaden their work through their breadth of environments and influences. 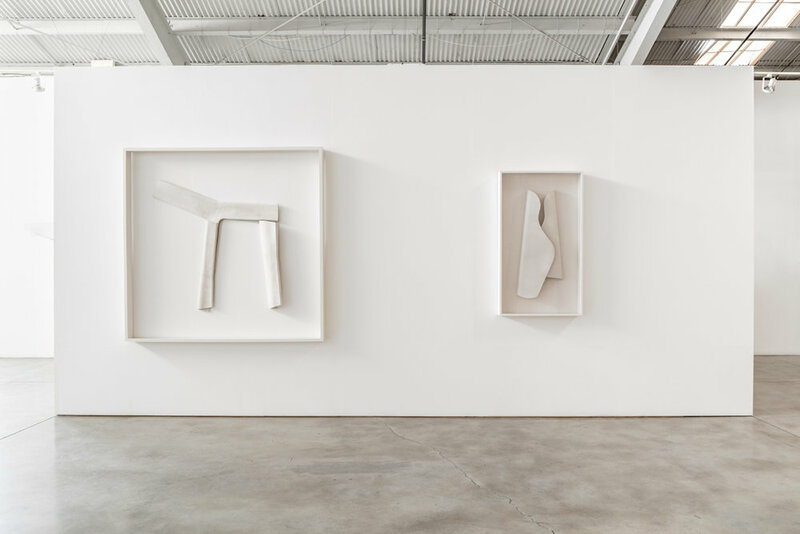 Their movements throughout this world follow a similar pattern to the movement of the eye through Müller’s architectural sculpture, open-ended yet methodical and the movement of McCracken’s lines across the canvas, continually spreading yet guided.